In non-comic related news, there is amazing Kickstarter in its final days that is worth your time and attention. Pandasaurus Games is running a campaign for Dinosaur Island, a game that has you creating your own Dinosaur theme park. Featuring a color scheme and graphics straight out of the 90's, this is a game that pulls on all sorts of nostalgic heart strings. Check out the campaign here. In addition to being excited about building my own dino theme park, this week's books were phenomenal! 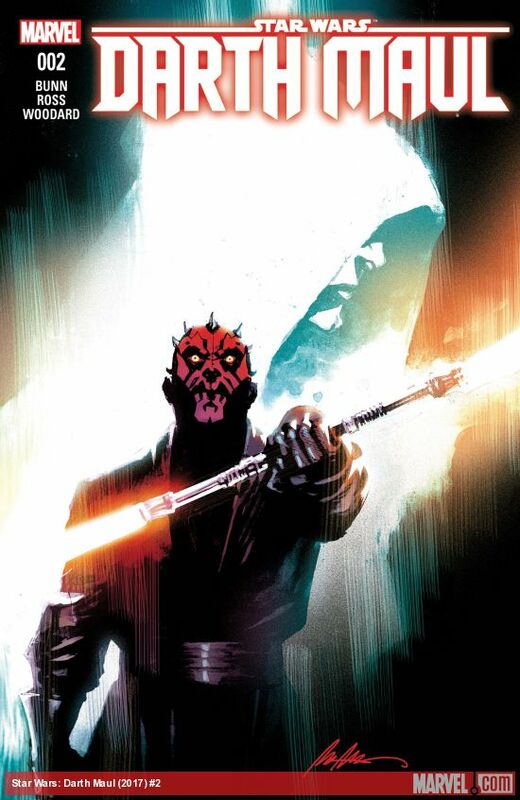 Darth Maul #2 - When you combine Darth Maul and Cullen Bunn you know you are going to get a series that is going to be a lot of fun. This issue brings that together, and mixes in a little but of Cad Bane for good measure. As Maul attempts to find an appropriate outlet for his rage, Darth Sidious seeks to take him farther down the path of the dark side. Maul is instructed to lay low, but the desire to seek revenge on the Jedi is too great. While I really enjoyed watching Maul fight without overtly demonstrating his use of the Force and his light saber, this book really shines in the scenes where Sidious is manipulating Maul in order to fuel his hatred. One thing that the comics have done an amazing job with is making the Sith a true force to be reckoned with. Hearing Maul talk about his fear of Sidious and what would happen if his secret plans are discovered casts Sidious into an all new light. In the movies he appears more fragile, yet in the comic book the fear is palpable. There is a reason why Sidious was able to work under the noses of the Jedi and manipulate formidable Sith Lords like Vader. I hope Bunn continues to explore the relationship between Sidious and Maul in future issues. Dept H. #12 - The plot gets thicker as we learn that the crew has been exposed to a new strain of the H-virus and are quarantined on the base, which is currently hanging on by a thread. While Jerome may have found the cure for the original H-virus, it appears that the research process may have exposed everyone to something else. 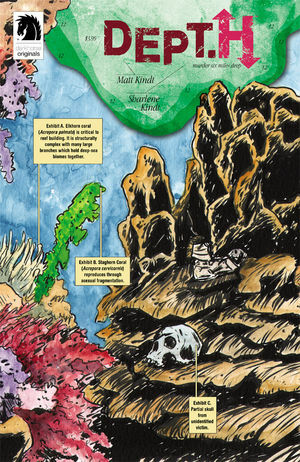 This underwater whodunit gets more and more complex with each issue, and the potential motives for the various crew members seem to grow with each issue. I a not sure who I suspect, but I do know that Mia and her father may be the only decent humans that have set foot on the base. I don't want to spoil what happens at the end of this issue, but it left me absolutely speechless and really shifted my thoughts on who may have killed Mia's father and what their motive might be. This is a truly mesmerizing series and the art from Matt Kindt and the colors from Sharlene Kindt provide a surreal setting that is appropriate for a mystery of this magnitude. Birthright #23 - We learn a little bit more about why Lore was allowed to attach the Nevermind to Mikey. It seems that Lore has struck a deal with Mikey and may have more in mind then simply destroying the mages who are on earth. In addition, his daughter seeks him out and it isn't clear whether she opposes him or wants to join him. All this time Rya, who is pregnant with Mikey's child, is dealing with the struggle of stopping Lore and saving Mikey. I am not sure how many issues this series is slated for, but it feels like we are racing towards some sort of finish line and I am on pins and needles wondering how this is all going to work out. Teenage Mutant Ninja Turtles #68 - When we last left the turtles it looked like Slash, under government control, captured the mutanimals and possibly killed Seymour and Mutagen Man. Old Hob managed to escape to warn the turtles, but it might be too late as it looks like the captured mutanimals may be the next victims of governmental brainwashing. In addition to the peril that the mutanimals find themselves, the government soldiers have tracked down the turtles' new lair and are preparing an all-out assault. I sure hope that Splinter and the foot clan, who he is currently leading, can intervene and provide some much needed support. 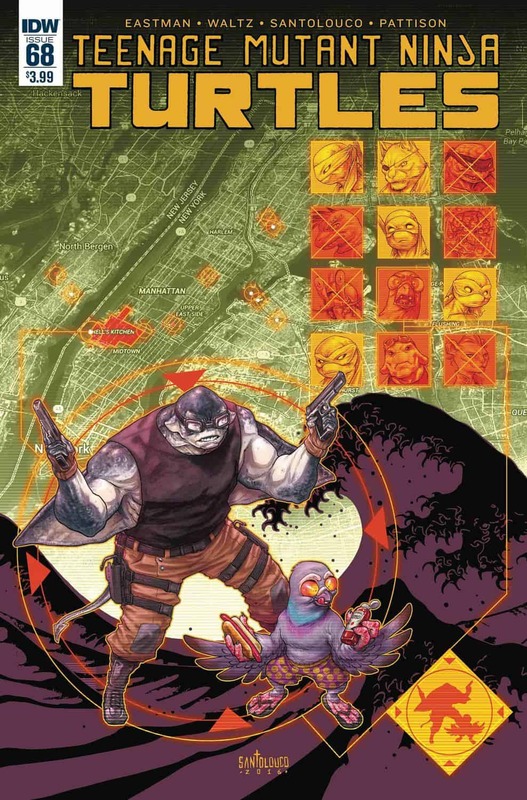 Between the tension that the turtles have with Splinter and the mutanimals, and the fact that they will need to unite in order to take down the government operatives, this series is getting quite intense. 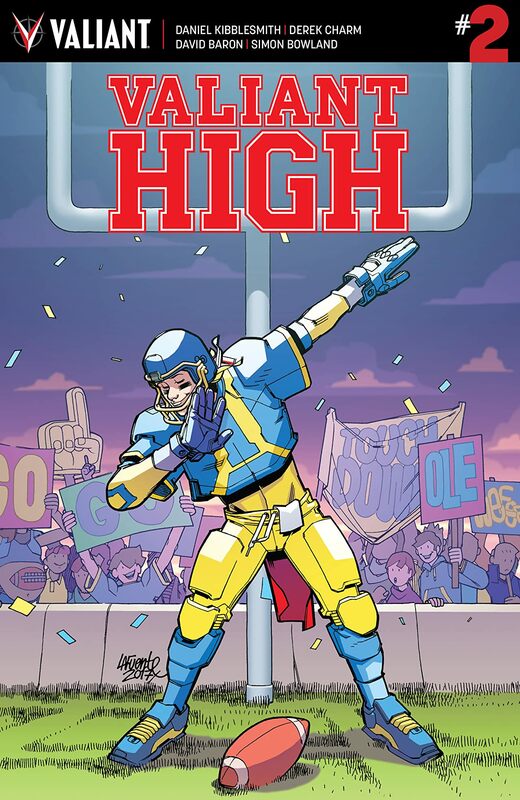 Valiant High #2 - Valiant's ComiXology exclusive high school take on its universe continued this week and this series is an absolute blast. I have dipped my toe in some Valiant books and have enjoyed them, but feel motivated to take a closer look after reading this book. There seems to be a mysterious dynamic between Principle Haruda and Gilad, who has been a sophomore as long as anyone can recall. This book opened up with a no holds barred version of dodge ball, featured a mysterious janitor, and included references to both Buffy and Veronica Mars. This is a nice light and entertaining series that everyone should give a chance.